East Central European Politics Today: From Chaos to Stability? Dimensions 1.25 by 5.50 by 8 in. Amazon.com description: Product Description: Crawford (political science, Charles U., Prague) evaluates the problems faced by the former East European bloc countries during the first six years of their transition (1990 to 1996) from centrally-planned, one-party communist states within the Soviet sphere of interest to free-market, liberal democracies on the verge of joining both NATO and the European Union. Crawford explains the chaos of the period and the emergence of a type of post-communist stability by the mid-1990s, based on his experience of living and working in the region during the period of transition. 5x8". Distributed by St. Martin's Press. Annotation c. by Book News, Inc., Portland, Or. 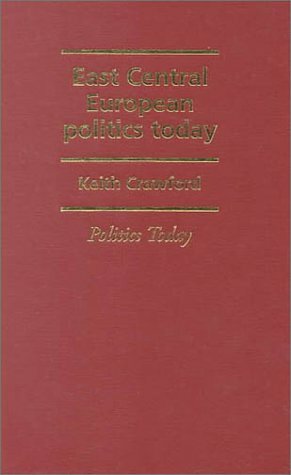 About: Crawford (political science, Charles U.